JNTUH MBA Results 2018: Jntu Hyderabad University has announced MBA 1st, 2nd, 3rd, 4th Sem (R17, R15, R13) Regular/Supply Results December 2018 on 2nd March 2019 in official website. Students can check MBA 1st Sem results, MBA 2nd Sem results, MBA 3rd Sem results, MBA 4th Sem Results Along with Marks at jntuhresults.in. 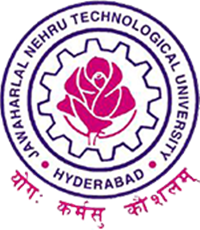 JNTU Hyderabad University very popular in Hyderabad Telangana State. it provides various courses for brightening students and get placed into top company jobs. Apart from that, JNTUH conducts MBA 1st, 2nd, 3rd, 4th Semester exams in the Month of December 2018 in various colleges which are under affiliation to jntuh. Many Students have attempted the exams in Regular and Supplementary sections. Almost it has been conducted for all regulations R17, R15, R13. Every one is waiting to check their results and writing for the next sem examinations. Finally, JNTUH University released MBA Results 2018 on March 2nd 2019. Students can follow below procedure to find your results in easy manner without hard. Those who are not satisfied with marks/ corrections can apply for revaluation/ Recounting before Last date: 11-03-2019.
i have written my exam very well but still i have failed in exam what was the problem. Worst university worst correction worst result they need money only fr money sake they give this revaluation option to fool the students instead of begging they use this name revaluation thats it….. Worst jntuh………worst…. Correction……. When is jntuh gng to release mba revaluation results 2018? How to apply for revaluation/ recounting ? In the college? or in the university? I'm also same issue jntu don't take care…. Jntuh M.pharm R17 1st sem results release date please.